Creates and loads sets of drawing files, making it convenient to load an entire group of drawings at once. Click Finish. BricsCAD opens all the drawings that were open the last time you closed the program. Click Finish button. The program opens all the drawings that are part of the workset. Click OK. The program reports that has saved the workset. Working sets are saved in the registry and so they are defined differently for each user profile. See the ProfileManager command to learn more about user profiles. Click Delete. 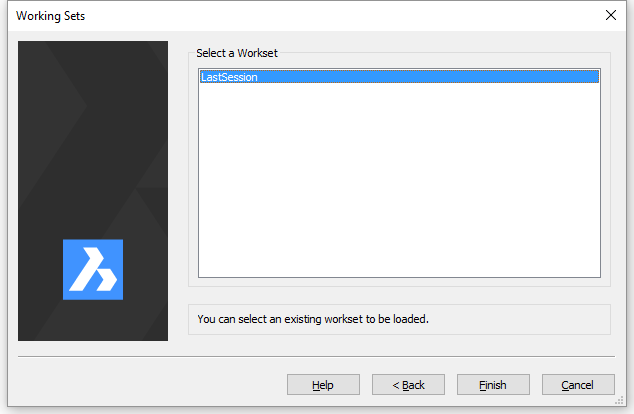 The program asks, "Are you sure you want to delete workset?" Click Yes. The name of the workset is removed from the list. 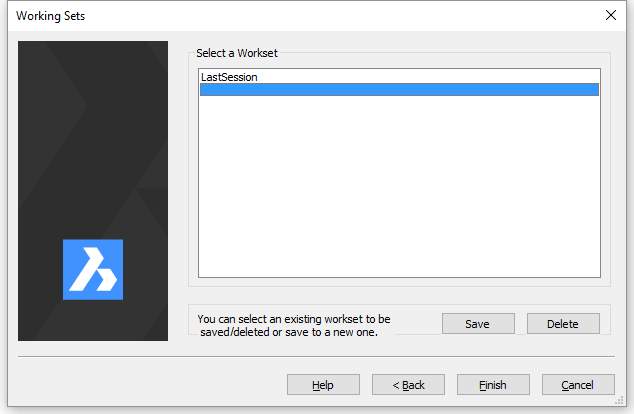 Click the name of a workset in the list. The program asks, "The workset already exists. Do you want to replace it?" Click Yes. 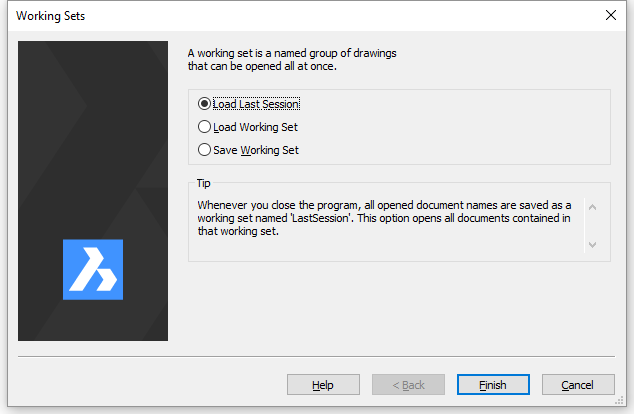 The program saves the current set of open drawings to the named workset. Open - opens drawing (DWG), template (DWT), and interchange (DXF) files.